Got him used but 100% complete in box. So the unboxing part will be pretty quick! That doll come with a LOT of stuff. 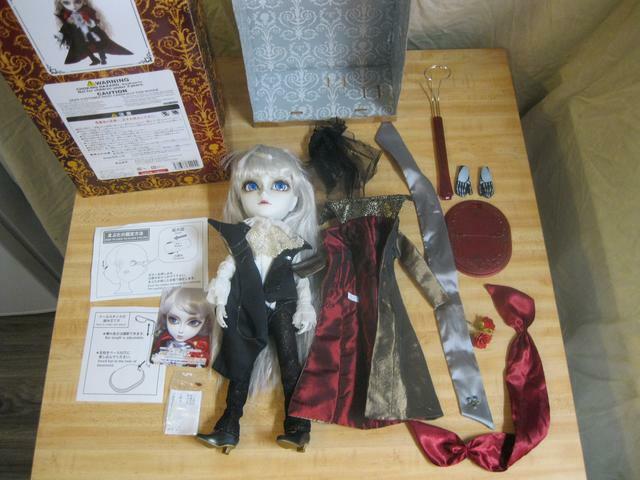 He also have several clothing accessories and I had to study the box picture carefully to know what part go where. 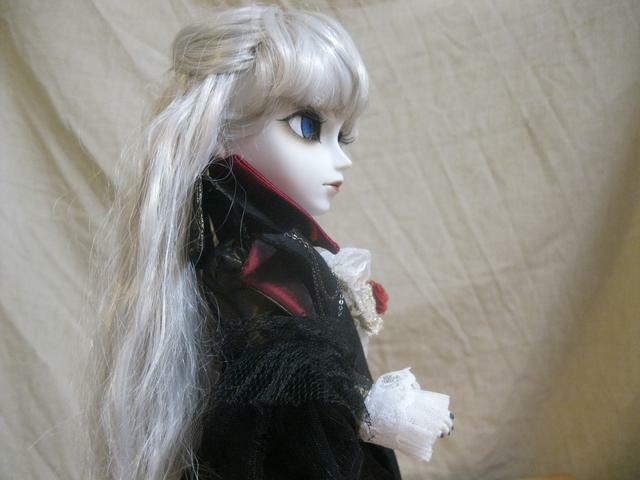 There's always a manual on how to put the doll stand together, but never a dress-up manual for reasons. 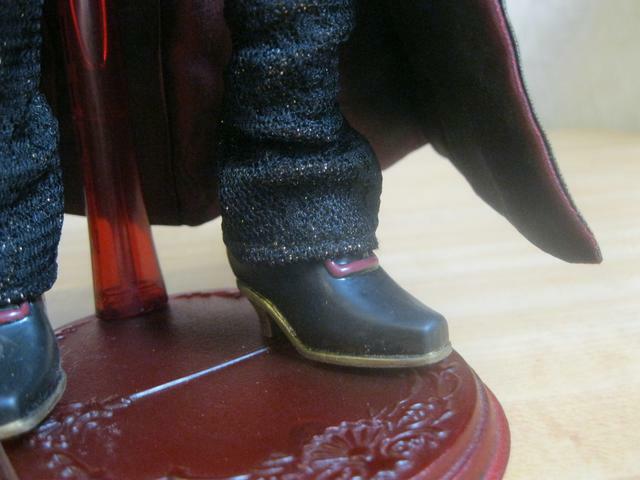 He even have his glued-on vampire teeth. A thing that shall remain sealed. Plus the skull gloves are still "oven mitts" so I'll skip them as well. 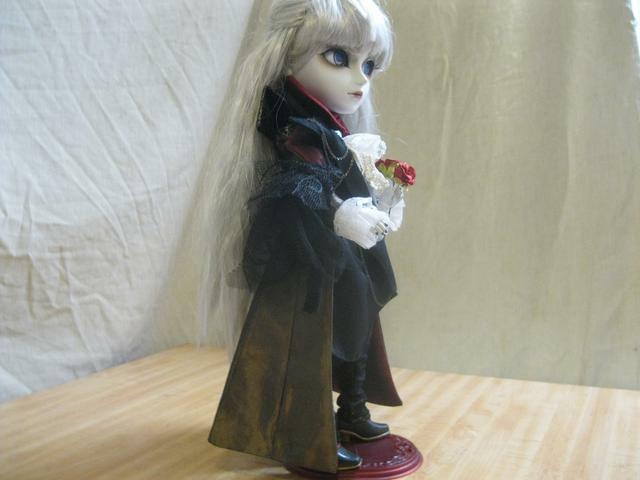 Lastly the arm of the doll stand have unfortunately a tiny broken peg. The previous owner broke it when disassembling the stand, sadly. Eh, that's a clear plastics thing. 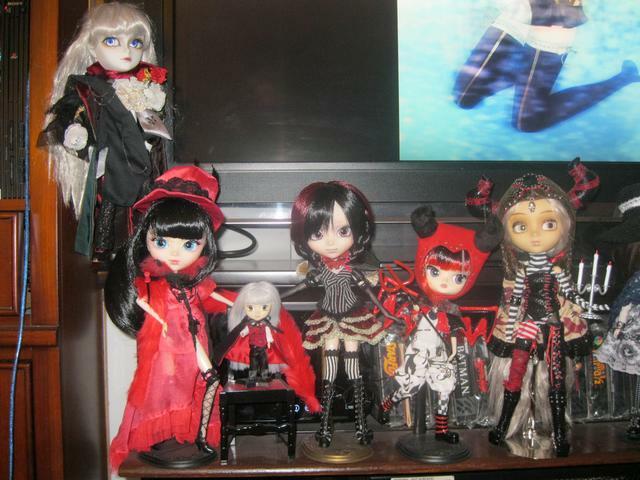 At least the doll stand stay together just enough. Clothing him was hard, but luckily his hands are removable and I had the right pliers to make his fluffy shirt pass through the coat's sleeves. He have two scarves that must be put on a certain way. 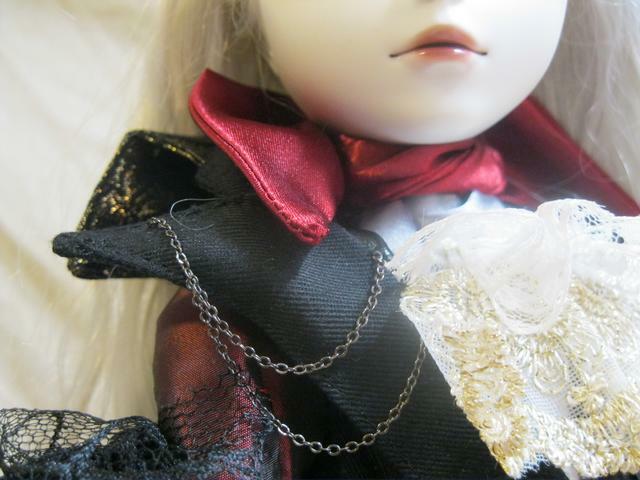 Finally, he have some fabric.... thing... that warp around his right arm. 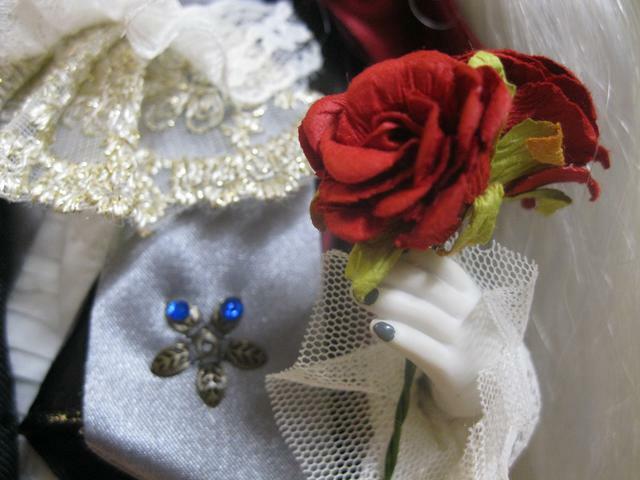 The final touch is a pair of roses that can rest just enough in his hand. The overall look is a... menacing elegance. 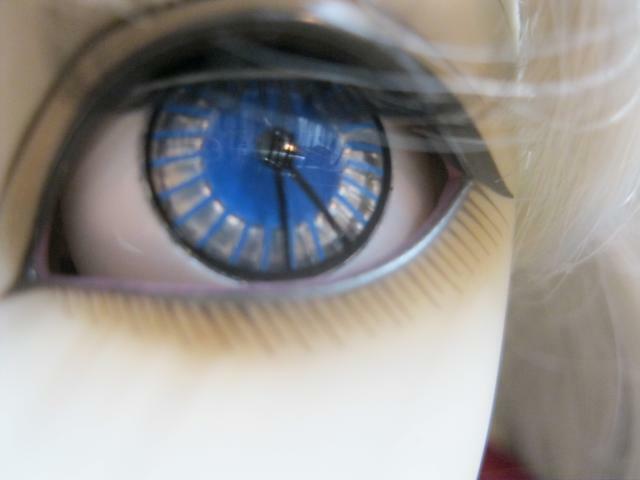 His face-up is absolutely fantastic with eyes that have a kinda clock-theme going on. His stock is pretty elaborate and is well worth the money. Nice nail polish too, making the gloves really unnecessary. 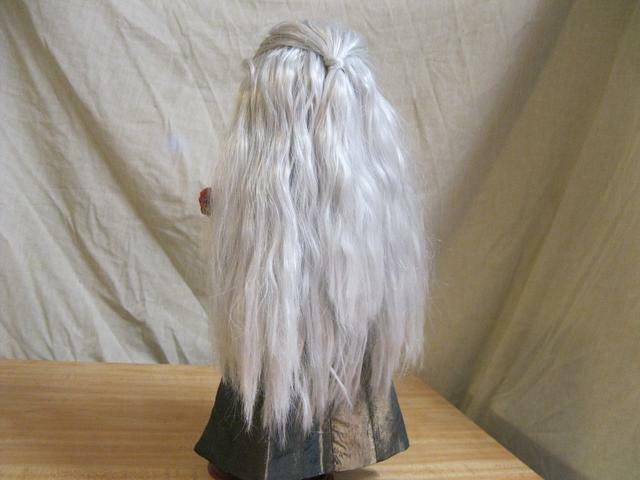 The wig is a bit dry and frizzy but I've seen worse. Overall, Nosferatu is a perfect addition as a member of the Freak Circus. Nosferatu is worthy of being the Freak Circus's "final boss"! Menacing elegance is an accurate description. 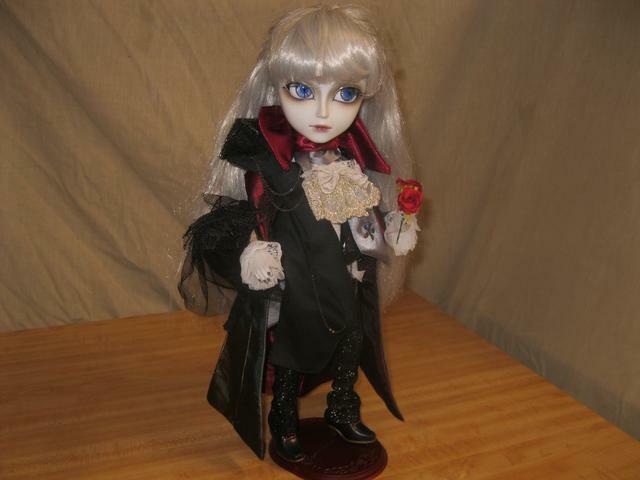 This is one of the few Pullip family dolls that is genuinely somewhat scary looking. Scary by design, that is. 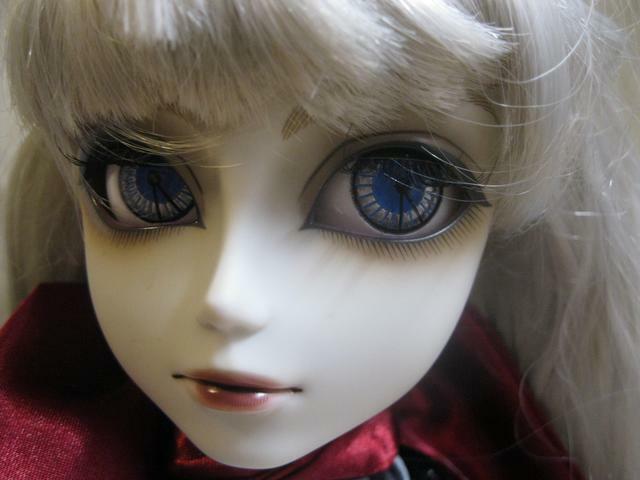 As opposed to, y'know, being a creepy doll with a giant head, which describes all Pullips. (03-25-2019, 01:58 PM)davidd Wrote: Menacing elegance is an accurate description. 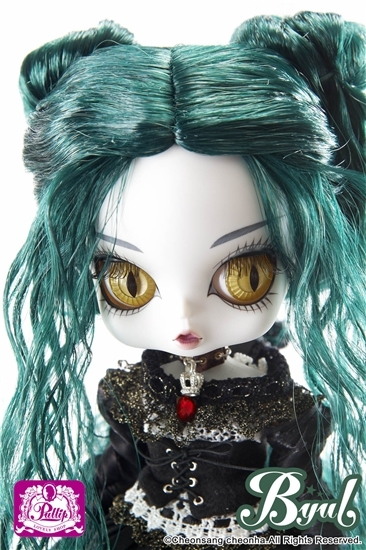 This is one of the few Pullip family dolls that is genuinely somewhat scary looking. 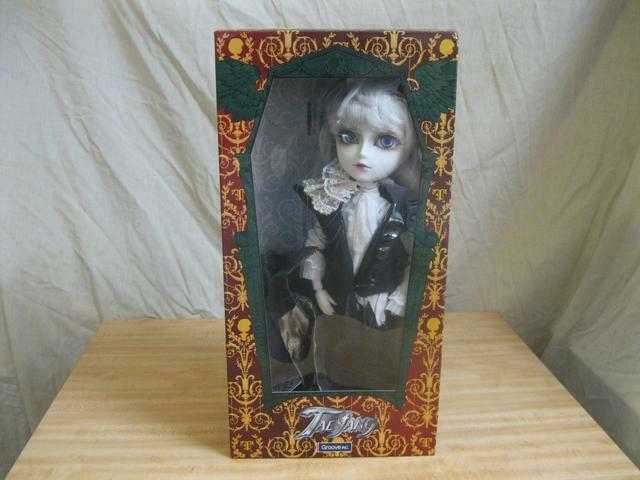 Byul Lilith is scarily awesome and she's now my #1 Dolly Grail.